Havant's new Cycling and Walking Plan! BUT, and it's a big but, once it's adopted by the council, it will be much harder to make changes. And it's looking a long way ahead, like the Local Plan, to 2036 - that's 17 years away. So it's vital that we get it right first time, and try to imagine everything we'll need over the next 17 years. And that means raising our sights, aiming for the best outcome we can, what we NEED, not just what's easy, and looking across the whole Borough of Havant and the links to the surrounding areas. 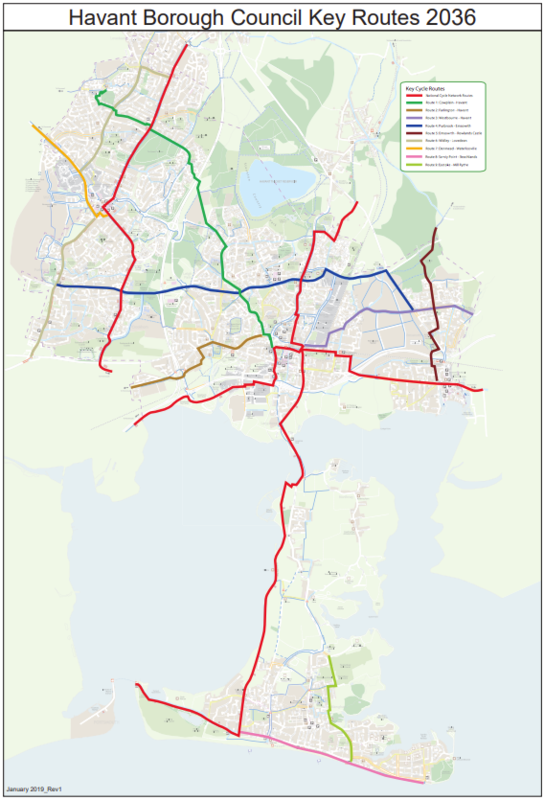 They've made a good start with an Aspirational 2036 Cycle Network Map and Key Routes Map, but they don't include some of the things we're already asking for in 2019, like Haylink, let alone what we'll need by 2036. Yet! You can see the announcement at http://www.havant.gov.uk/cycle-paths-and-cycleways (scroll down to 'Local Cycling and Walking Infrastructure Plan (LCWIP)'. 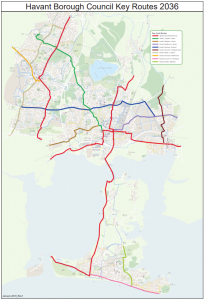 During February and March, we'll be trying to coordinate all your views to build an official response for Portsmouth CTC and for Cycle Hayling . But we'll need to hear your views to do that, so we'll be starting our own consultation shortly, and offering ours for you to comment on. You can send your thoughts sooner to Wilf Forrow or Mike Ashton, or through our contact form here.